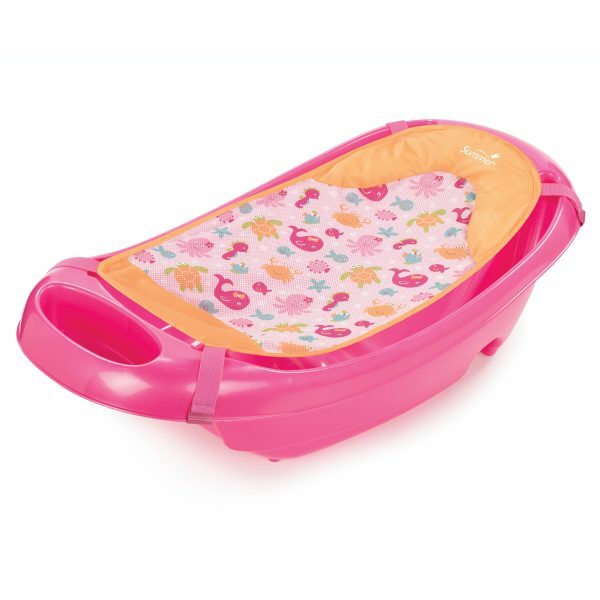 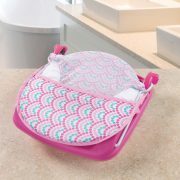 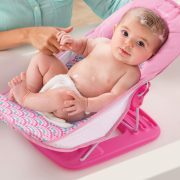 The Deluxe Baby Bather cradles newborns, making bath time easier and safer. 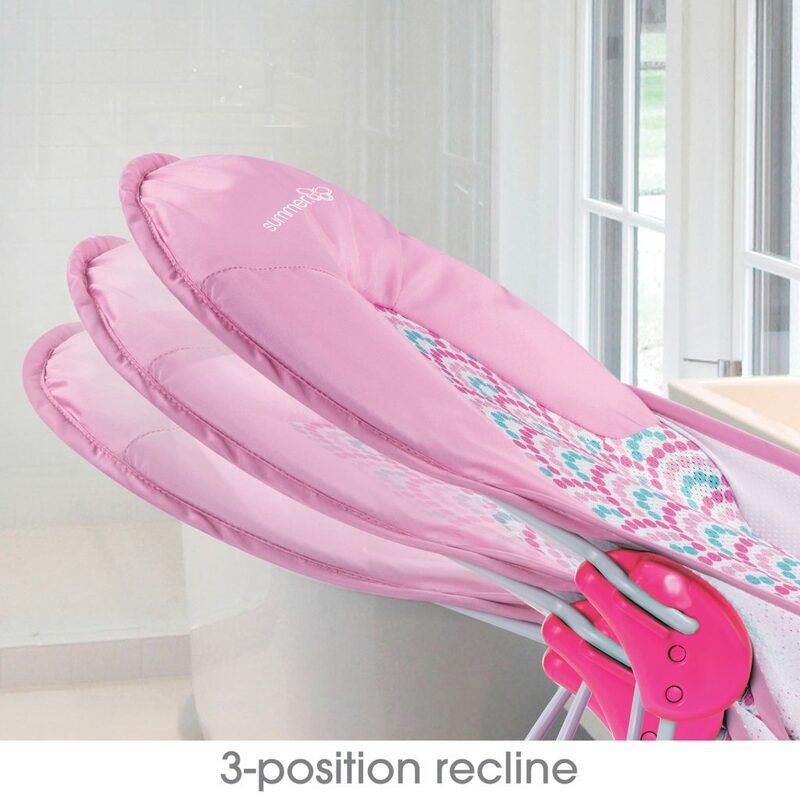 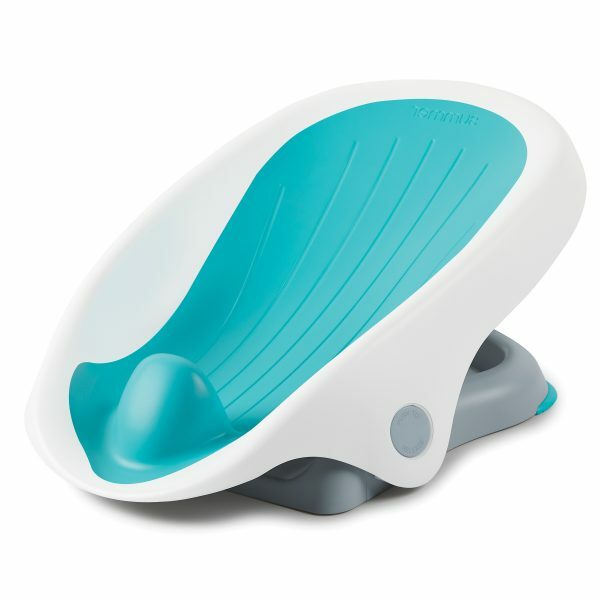 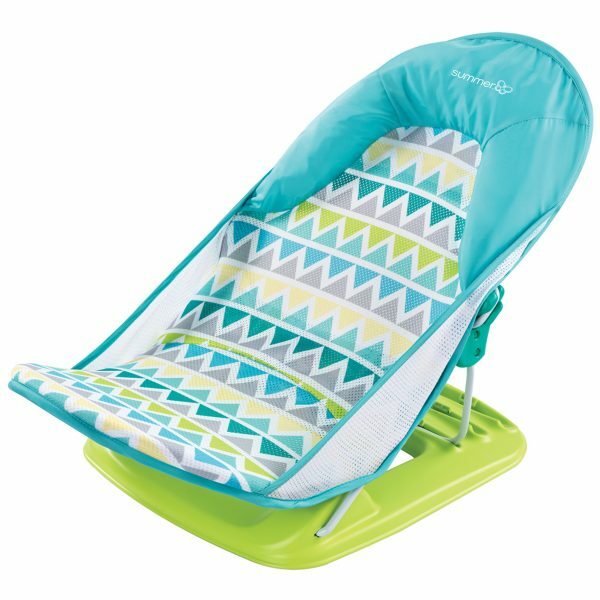 The bather has a three position recline, helping baby to feel comfortable throughout their stages of growth and development. 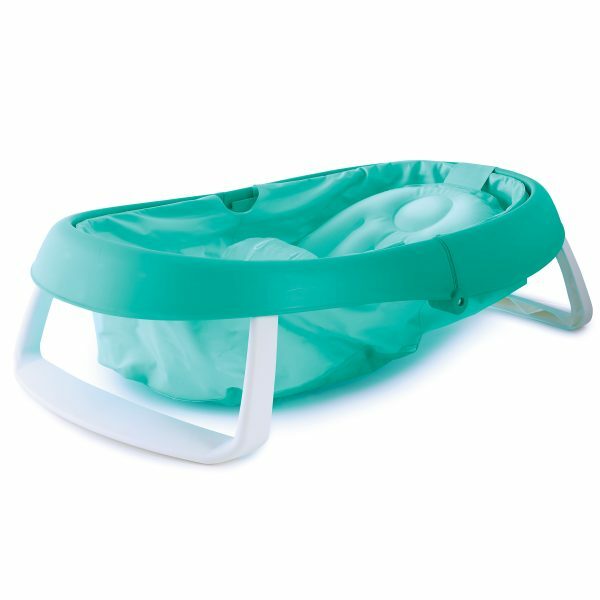 The soft mesh, head support and solid base gives newborns the extra support and security they need, giving parents peace of mind during bath time and making it more enjoyable for babies. 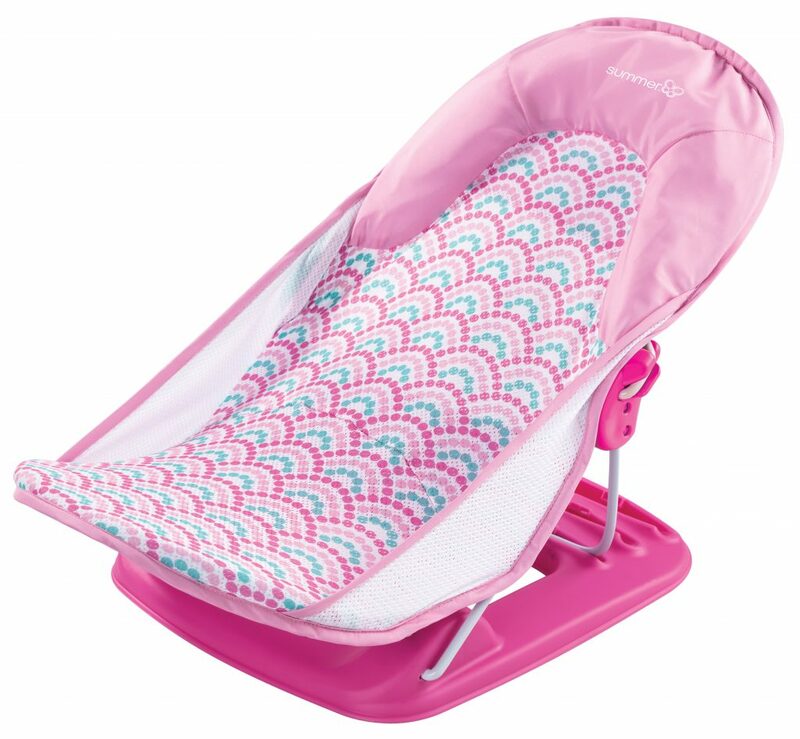 "When it arrived, I was pleasantly surprised – the quality of materials was high, and it was a sturdy product made from metal, plastic and a mesh-like material. 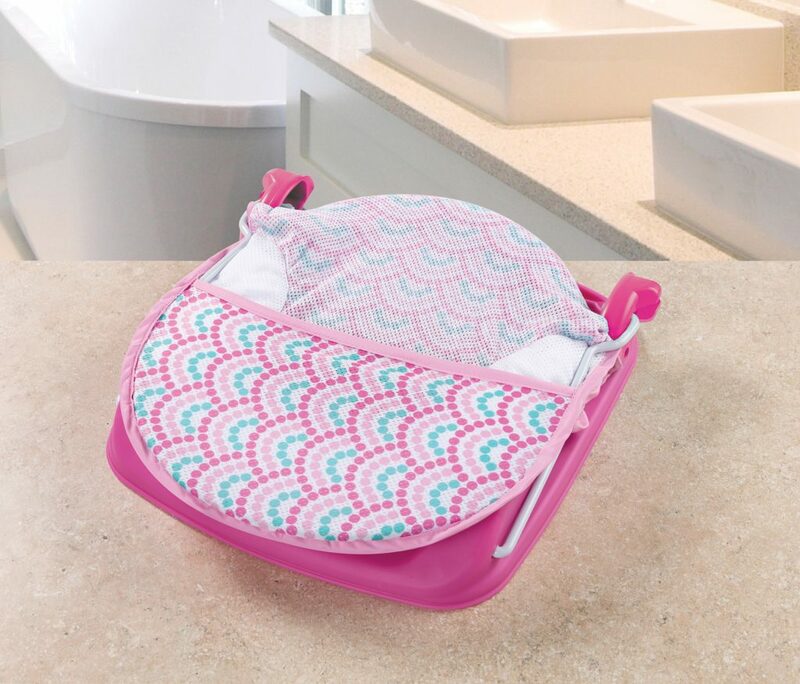 It didn’t feel cheap like a lot of bath accessories tend to, and it actually felt safe – I had no worries about putting Baby Button in it to indulge in his bath."